Erdogan now has a short window to challenge the opposition’s electoral gains. The YSK is currently tabulating the final voting tallies - a process that has historically taken up to a week. Its rulings are binding and cannot be appealed to the courts. The AKP formally contested the results in Istanbul and Ankara on April 2, claiming voter fraud and up to 25,000 possible uncounted ballots for the AKP. Former Turkish Prime Minister Binali Yildirim - the AKP’s candidate in Istanbul - has not yet conceded defeat after prematurely declaring victory on election night. AKP Istanbul Provincial Chairman Bayram Senocak claimed that a recount of invalidated votes in Istanbul would likely change the result in favor of the AKP. Erdogan met with Yildirim, the Governor of Istanbul, and the Istanbul Police Chief to plan how to contest the projected results Istanbul on April 1. His influence over the state, media, election authorities, and judiciary system suggests that these challenges may ultimately bear fruit for the AKP. Erdogan is still firmly entrenched in his dominance of the Government of Turkey. Opposition gains in local politics - however notable - are unlikely to threaten his ruling coalition in the near-term. Erdogan has successfully centralized power within the Turkish Presidency and won a key victory in the 2018 Turkish Presidential and Parliamentary Elections. 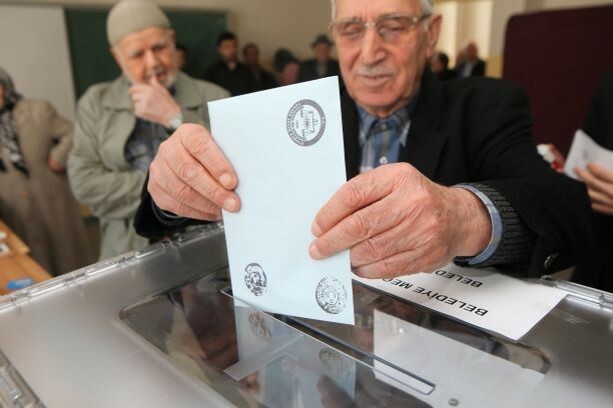 His AKP and its allied Nationalist Movement Party (MHP) still secured the majority of the votes and municipalities contested in the 2019 Turkish Local Elections. Only if such losses are sustained will Erdogan face a true challenge to his future leadership of Turkey. Erdogan could ultimately exploit his political losses to discredit the opposition and win back long-term support for the AKP. Erdogan has established himself as a capable and cunning politician in the decades since he entered national politics in Turkey in 2002. He now has an opportunity to shift blame for the negative effects of his own self-defeating fiscal policies to the opposition and its management of the key urban centers that constitute the economic heart of Turkey. The Turkish Lira fell an additional 1.4% after the 2019 Turkish Local Elections. Erdogan also holds numerous other levers to constrain his local political opponents - from his centralized control over municipal funding and resources to legislative manipulation in the Turkish Parliament. The opposition will likely find it incredibly difficult to mitigate the adverse effects of these policies on its municipalities and its electorates. Erdogan certainly suffered a blow in the latest election - but his political demise is anything but assured. Contact press@understandingwar.org for media inquiries. [“Turkish General Election 2019,”] Anadolu Agency, April 1, 2019, http://secim.aa.com(.)tr/#tr. [“YSK Head Sadi Guven: There Is a 3-Day Appeal Period,”] Gunes, April 1, 2019, http://www.gunes(.)com/gundem/ysk-baskani-sadi-guven-aciklama-yapiyor-968809. [“Flash Announcement From Binali Yildirim: There Are 10 Times as Many Cancelled Votes,”] Sabah, April 1, 2019, https://www.sabah.com(.)tr/gundem/2019/04/01/son-dakika-binali-yildirim-ak-parti-istanbul-il-baskanligina-geliyor. “Erdogan: Turkish Nation Gives World Democracy Lesson,” Anadolu Agency, June 24, 2018, https://www.aa.com(.)tr/en/todays-headlines/erdogan-turkish-nation-gives-world-democracy-lesson/1185825. Aynur Ekiz, Enes Kaplan, and Suleyman Tunc, [“Our Nation Made Us First at the Ballot Box for the 15th Time,”] Anadolu Agency, March 31, 2019, https://www.aa.com(.)tr/tr/politika/cumhurbaskani-erdogan-milletimiz-bizi-15inci-defa-sandikta-birinci-yapti/1439019. Muhammed Boztepe, [“Interior Minister Soylu: PKK Candidates Will Not Be Members of the Municipal Councils,”] Anadolu Agency, March 25, 2019, https://www.aa.com(. )tr/tr/politika/icisleri-bakani-soylu-pkk-ile-iltisakli-adaylar-belediye-meclis-uyeligi-yapamaz/1429800.